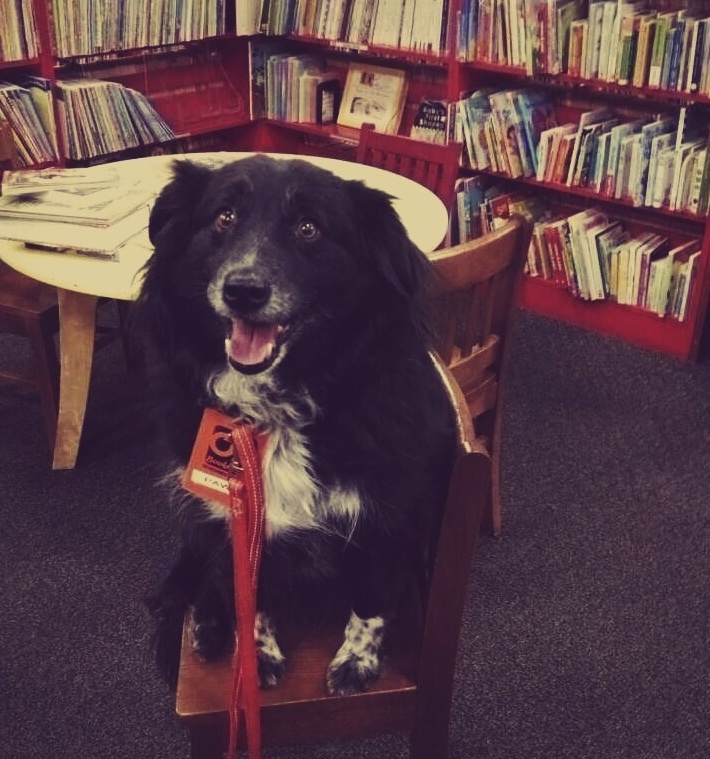 Meet Bookmans Flagstaff favorite four-legged friend Paws. Paws was adopted from a shelter by dog lover and Bookmans electronics buyer Cali. Paws never leaves her mom’s side and even comes to work with her. On any given day you can find Paws assisting Bookmans employees at the trade counter or helping a customer find their favorite book, cementing her place as a valued member of the team! What is not as obvious about this sweet little border collie is that she is a film fanatic. From comedy to drama, Paws loves her movies and wants to share with all of you her top five favorite films about man’s best friend. Three exceptionally loyal pets, Chance, a curious pup; Sassy, a cat who lives up to her name; and Shadow, their wise leader, are left in the care of a family friend while their people go on vacation. Fearing the family will be gone forever, the three pets insist something is wrong and set out to find their family. This classic love story of a pampered cockier spaniel Lady and the street wise Tramp is one of the most memorable animated films of all time. From sharing a plate of spaghetti outside Tony’s Restaurant (Remember when lady pushed the last meatball across the plate to tramp? All the feels!) to escaping dog catchers then Tramp finally finding a home with Lady and her people “John Dear, Darling and of course The Baby”. This is a sweet story of love and family. Based on the book of the same name, Marley and Me is the tale of the world’s most trying dog. With no discipline and a habit of going number two in the ocean, Marley causes trouble wherever he goes. Despite his faults, this 100+ pounds yellow lab steals the hearts of the whoever he meets and becomes an important member of the Grogan family. What can be said about Old Yeller? The most heartbreaking classic is a coming of age story about a boy. Set just after the Civil War, Travis finds himself the man of the house when his father seeks work at a cattle ranch. When a stray fallows him home, Travis is reluctant to see the dog as anything more than a nuisance. Named Old Yeller for his yellow coloring, the stray soon gains the respect and affection of Travis. While defending the family, the ever loyal dog is bit by rabid wolf and Travis is forced to put him down, taking his first steps into adulthood. This mockumentary by the legendary Christopher Guest follows five pedigree pups and their hilarious owners as they travel to the Mayflower Kennel Club’s dog show to compete for the coveted best in show prize. With colorful characters and their completely neurotic behavior, Best in Show is at its heart an underdog story that will keep you laughing from beginning to end. Disclaimer: Paws feels this is a difficult list to compile and would like all of you to know that she thought about her selections carefully. She would like to acknowledge some of the great films that didn’t make the cut are still notable for their representation of the relationship between man and dog. What are your favorite dog movies? Leave a comment or come into the store to let us know. Paws is spot on with her choices! Yipes! Thanks for catching the typo, Angi. We’ve corrected it.